Weight: 0.32 oz. / 9 g.
This unique handwriting gift is the perfect anniversary present, birthday gift, way to say thank you and more! 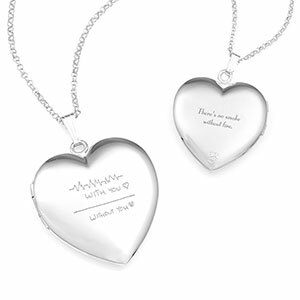 Engrave the front and back of this beautiful high quality sterling silver heart locket with a handwriting message of your choosing. This beautiful oval shaped locket is set to include your handwriting message on the front and you can add extra type text, symbols or graphics to the back as well! 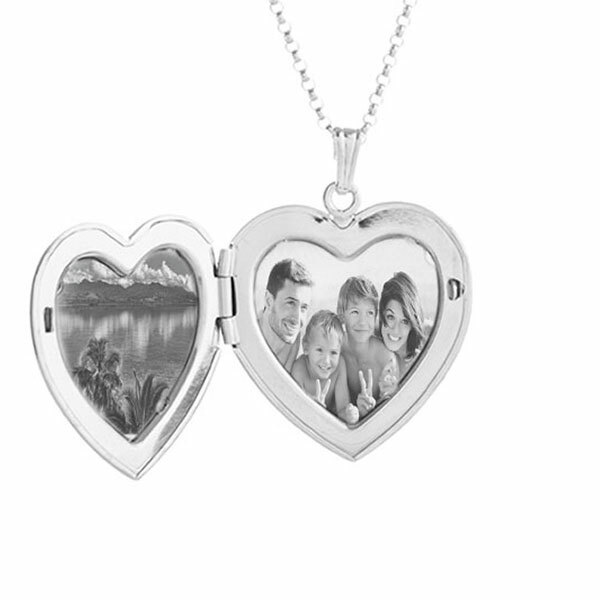 Email us your picture of your message to convert for engraving. Make sure the image is taken in good lighting, that its large enough to see clearly and that it's focused. Send your handwriting message image to our graphics department at logo@thoughtful-impressions.com. Up to 2 lines of 8 characters each, including spaces!